Now that September has oh so quickly arrived I now consider it as Autumn, I think after it rained all day today, it gives me more reason to! I absolutely love the Autumn, the colours and just all the cosiness it brings, it's made me think about everything I'd like to do this Autumn and Winter! 2. Make hot chocolates and cosy up under the blankets and watch a film. 7. Bake a chicken pie. 9. Put on my favourite snuggly jumper. 10. Put on our wellies and go and splash in puddles. 12. Write a early letter to Santa. 13. Cook a warming casserole. 16. Make a Blackberry Gin. 17. Buy some new cosy socks for me and Darcy. I don't consider myself as an autumn person that much, but all thanks to your tips, I can now see the beautiful side of this season. So much coziness, it's comforting and you actually make me look forward to the yellow leaves. Thank you! 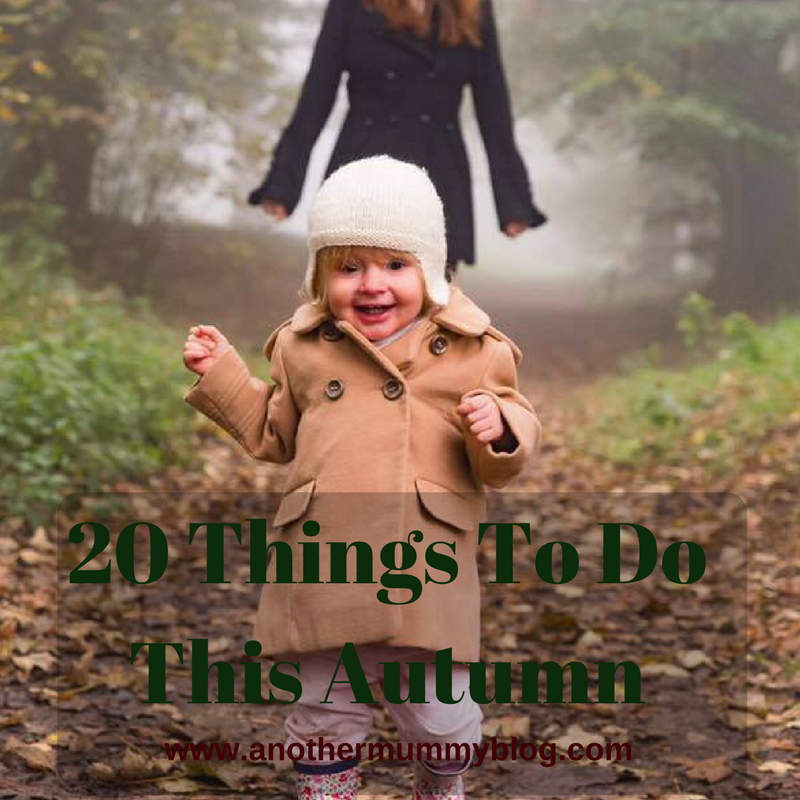 I am SO an autumn person - and now I can't wait for it to come around quicker so I can tick all these things off the list! I'm not going to lie, I'm not the biggest fan of Autumn but regardless, it's coming so I must make the most of it. What I do like is the build up to christmas, all the fancy drinks coming to the coffee shops and roasted chestnuts! Eeek! I am not quite ready for autumn just yet - maybe in another few weeks...and then I am all for many of these, especially autumn walks and apple and blackberry crumbles! I for one love autumn sunsets!